So you’ve finally done it. You’ve rewarded yourself with that little Audi convertible that you’ve wanted for years. 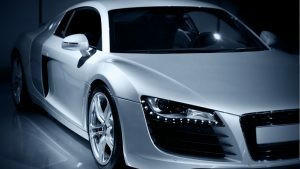 Now, because it’s not likely that you’re experienced in comprehensive automotive service and repair, it is important to find a trusted Audi mechanic in order to keep your German-engineered automobile running in peak condition. Break her in easy. The first 1,000 miles crucial to its life-long performance and is the time where you want to treat your new car with kid gloves. Keep speeds moderate; resist accelerating quickly and avoid heavy loads. Treat her gently every day. Yes, your german automobile is meant to reach high levels of speed and performance but racing your engine at start-up, is sure to reduce the lifetime of the engine by adding wear and tear. Avoid any of the extremes of driving if you would like to enjoy your car for years to come. Don’t skimp when it comes to fuel. Make sure that you only use premium, quality gasoline from reputable gas stations. Extend the life of your ignition by keeping your keychain light and simple. Heavy keys can wear out the tumblers and can lead to ignition switch failure. Who would have thought? Regularly wash, wax and detail your car. Dirt and road grime can be very detrimental to the paint and finish of your vehicle. Keep a performance and driving log. Jot down things like average mileage, strange noises, mechanic recommendations and other important info to keep on top of what may become an issue further down the road. At Kudos Import and Repair, we understand the pride you feel for your German-engineered automobile and look to treat your car with the loving respect that you would expect. Our expert technicians strive, each and every time, to fully service and protect your valued auto with unmatched service and professionalism.